I downloaded a meditation app to my MP3 player on the weekend. After I followed the first few steps, the app recommended a guided meditation on kindness. We pray for those we love, whether on our own or during the prayers of the faithful at Mass: friends and loved ones who are struggling owing to illness or job loss or who have passed away, Christians at home and abroad who are persecuted, and priests and religious, to name a few. But how often do we pray for those who annoy or upset us: the neighbour who throws loud parties, the colleague who doesn’t take on a fair share of the workload, the relative who reminds us of our embarrassing mistakes? How about those who hurt us with unkind or thoughtless comments, or those who dislike us simply because of our ethnic background, our financial situation, or our faith? When we take the time to pray for our families, our friends, and even ourselves, we could take a moment to pray that God would bless these neighbours. Ten years ago today, the last of my grandparents passed away. My mother called me early in the morning to give me the sad news so that my husband would be home for me to lean on. 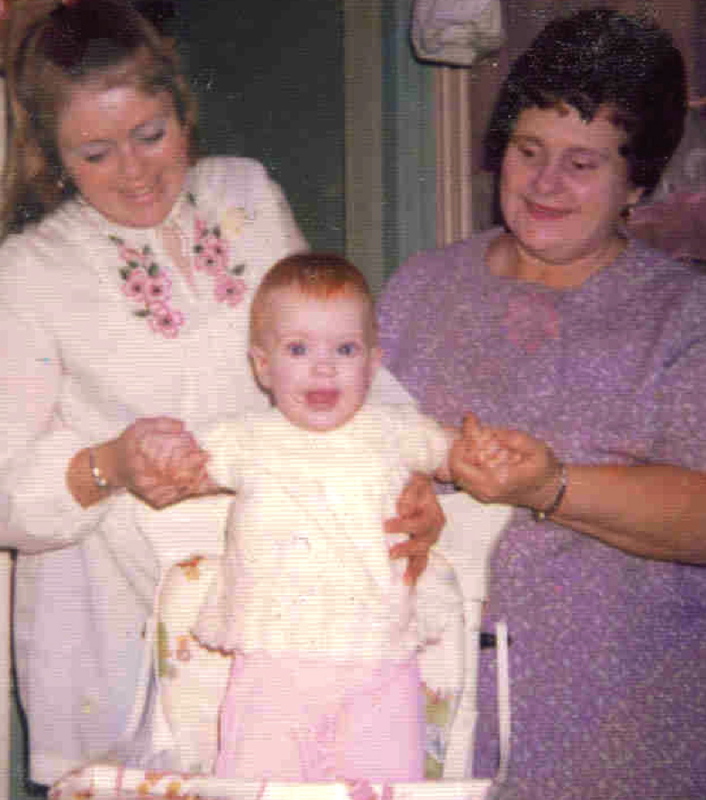 Nanny loved her three grandchildren and thought we were wonderful—not because of how we looked or behaved or what we accomplished, but just because we were her grandchildren. We didn’t have to earn or deserve her love. Do we realize the same is true of our heavenly Father? Just as we strive to earn better grades in school, a place on a team or in a play, or a promotion at work, we might tell ourselves that we can serve in more ministries, give more to charity, or pray more to earn or deserve God’s love. But that just isn’t the case. We can’t make him love us more. And as sinners, we can never do enough to deserve his love. But God loves all his children, whether or not we acknowledge and worship him and do what is pleasing to him. He loves us so much that he gave his only Son, Jesus, to die on the cross to save us from our sins and lead us to eternal life (see John 3:16-17*). He loves you despite your unworthiness. It is His love that will make you better rather than your betterment that will make Him love you. That is just the way Our Lord intended that you should love your enemies: Love them as you love yourself, hating their sin, loving them as sinners; disliking that which blurs the Divine image, liking the Divine image which is beneath the blur; never arrogating to yourself a greater right to God’s love than they, since deep in your own heart you know that no one could be less deserving of His love than you. Your knowledge will get out of date; your statistics will be old next month; the theories you learned in college are already antiquated. But love never gets out of date. Love, therefore, all things and all persons in God. Sitting in my home office today, I can hear all kinds of vehicles pass by—cars, emergency vehicles, buses, delivery trucks and, undoubtedly, moving vans. Ah, moving—one of the joys of summer. Of course I’m joking. I’ve always struggled with change, and probably one big reason is the cross-country moves my family made from Nova Scotia to Ontario to British Columbia and back to Ontario when I was young. As a shy child, I hated having to move to a new house, start at a new school, and make new friends. Many houses will change hands over the next few weeks as families try to settle in before the school year begins. But that’s easier said than done, especially for those moving from out of town, out of province, or even outside the country. Even if language isn’t a barrier, the mere fact of being a newcomer can be. In some places I’ve lived, people could spend twenty years there and still be newcomers, particularly if they didn’t have relatives living nearby. Say hello when they’re moving in, putting out recycling or doing yard work. Just seeing a few familiar faces around the neighbourhood can help. Encourage children and youth to be friendly to new students on their bus or in their class. I remember elementary-school classes where I was made to feel unwelcome because I was new; as a teenager at a new high school, being invited to sit with other students for lunch helped on a difficult first day. Remember newcomers in our own intentions and in the prayers of the faithful at Mass. Hold a parish “welcome back” coffee hour in September so newcomers have the chance to meet some parishioners. I mentioned in a recent post about being stressed out by some harsh e-mails I’d received. Between the words themselves and the use of bold type for entire sentences, I felt angry and hurt and small. It wasn’t that I felt the sender had no right to offer an opinion. It was the way that opinion was expressed—with no concern for whether those words might hurt my feelings. It seems the expression, “If you can’t say anything nice, don’t say anything at all,” often isn’t applied to our electronic communications. How often do we see unkind comments on news items or blog posts that harshly criticize the subject of the news story or the blogger, as well as that person’s actions or opinions? The freedom the Internet gives us to speak our minds can be a double-edged sword. On the one hand, the web offers an amazing forum for expressing our beliefs and opinions and sharing our creativity; on the other hand, it offers us another opportunity to weigh in on the validity or value of others’ beliefs, opinions and creative works—and the way we use that opportunity isn’t always positive. Sometimes we treat screen names as a licence to speak our minds without filtering our words. I know it’s a challenge to find ways to emphasize words or set the tone of e-mails and things we post online; sometimes I really miss tools like tone of voice and body language, and even short messages can take longer to write than I might like. But it’s worth the effort to avoid bluntly worded messages that simply dismiss another person’s ideas or, worse yet, feel like a slap in the face to the reader. In Matthew 23:2-3, Jesus cautioned his followers and disciples, “The scribes and the Pharisees sit on Moses’ seat; so practice and observe whatever they tell you, but not what they do; for they preach, but do not practice” (Holy Bible, Revised Standard Version, Second Catholic Edition). As Christians, we don’t want to be tarred with the same brush. Those familiar with The Five Love Languages by Gary Chapman know that we can’t assume a person feels loved. We have to show our love in a way that person will understand. In the same way, it’s not enough to tell people that love, justice and mercy are important to us as Christians; we have to show that these values are important to us. Help people care for their yard or shovel their driveway when physical challenges or illness prevent them from carrying out these tasks. Donate non-perishable items to food bank collection bins or small change to stores’ charity collection boxes. Let someone else make good use of clothing we no longer wear: think outgrown children’s clothing, dress clothes for men and women who need clothing for job interviews, or even prom or wedding dresses just hanging in our closets. Volunteer at a soup kitchen (such as the one run by the Shepherds of Good Hope) or a parish or community food bank. Help newcomers to Canada adjust to life in their new country by volunteering with an organization like the Catholic Immigration Centre of Ottawa. Support the pro-life movement by participating in an event like a 40 Days for Life campaign or by writing letters to elected officials asking them to support pro-life legislation. Support charities that work for social justice. The Canada Revenue Agency’s listing of charities and the Canadian Council of Christian Charities website provide valuable information about charities’ finances and values. Minister to prisoners by providing bibles (for example, through the Canadian Bible Society) or serving on a Bible study, worship or visitation team through an organization like Prison Fellowship Canada. Look into socially responsible investing, or ethical investing, when considering retirement savings options. Contact MPs and MPPs to voice an opinion on legislation that could affect the justice and mercy that will be shown to both current and future citizens. May we share the prayer of Blessed John Henry Cardinal Newman: “Help me to spread your fragrance everywhere I go—let me preach you without preaching, not by words but by my example” (quoted in Eerdmans’ Book of Famous Prayers).